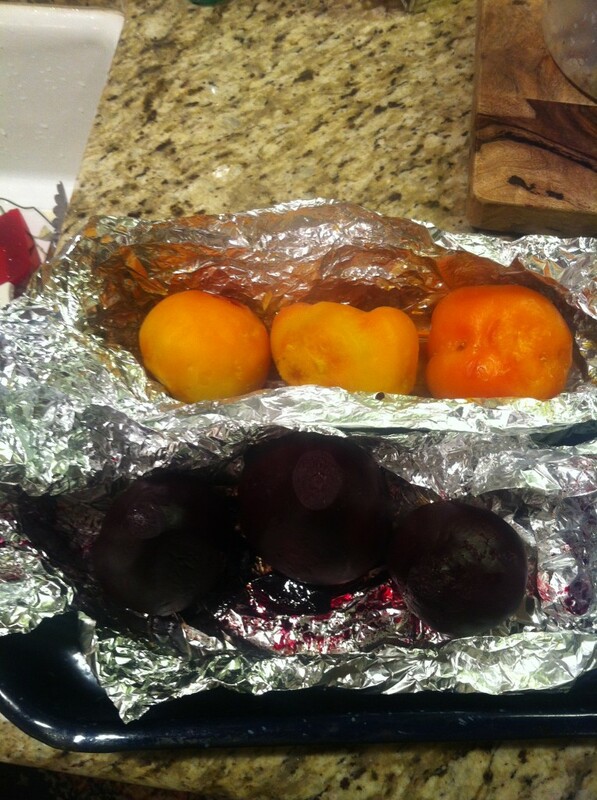 Something new I discovered — the amazingness of roasting your own beets. They are sweeter and much more flavorful than your supermarket variety, and at $1.99 for 3 large bulbs, you’ll never go back to canned! I chose to serve mine along side a delicious Spring Salad Mix with a simple olive oil and lemon dressing. A great way to make your own fresh roasted beets at home. Step 1 Preheat oven to 375 degrees. Step 2 Place foil package in roasting pan and set in oven.